While I’m not usually one for New Years resolutions I did spend 2018 setting some clear intentions for 2019. My husband and I had decided we’d pack up and leave our home at the end of October 2018, spend three months on the road travelling and visiting family – including a one month stint in Bali so I could further my yoga studies – and then land in France in January 2019. I was super excited about it all. We would be based in France, but just a quick plane flight and we could be in all sorts of other wonderful cities!! I’d always wanted to immerse myself in European culture; explore, adventure! There was sooooo much to see and experience. And what better way to do it, than to book in a heap of dates to present at festivals and yoga studios all over Europe and the UK. That way I could travel with my little family, we could experience new countries together, while at the same time, being able to bring my work to more people. People who needed more love in their life. And the plan was that within a few months of touching down in our new home-town of Rennes, that I would start touring. Yet as 2019 clicked over, I began feeling a little overwhelmed by the year ahead. The adventure lost its spark. Travelling had been great in many respects, but it had also been challenging, presenting us with LOTS of learning and growth opportunities. The biggest growth opportunity hitting me hard, when we returned to Australia after our month in Bali, and my son had to be hospitalised. Now I’m not someone who likes hospitals at the best of times, and when it’s your 13-month-old who’s sick, that only makes it harder. But thankfully, after spending two nights in the high care ward – essentially being quarantined – my little beauty bounced back in amazing style. Of course the stress of all we endured during that experience, including sleepless nights, left plenty of time for me to reflect. To journey deep and consider what I really wanted in 2019. I’ve always been an ambitious career-lady; my mind always full of ideas and plans, and new ways to share the love. But when Zen came along, I fell deeply in love. Deeply in love with Zen, and deeply in love with being a mum. Working 10-12 hours a week was difficult, both logistically and emotionally. There was a certain way I wanted to parent, and that took more time than had thought. I take my work extremely seriously, and don’t take on a client unless I can fully support them. And of course, I knew the importance of also needing to replenish myself at this time. 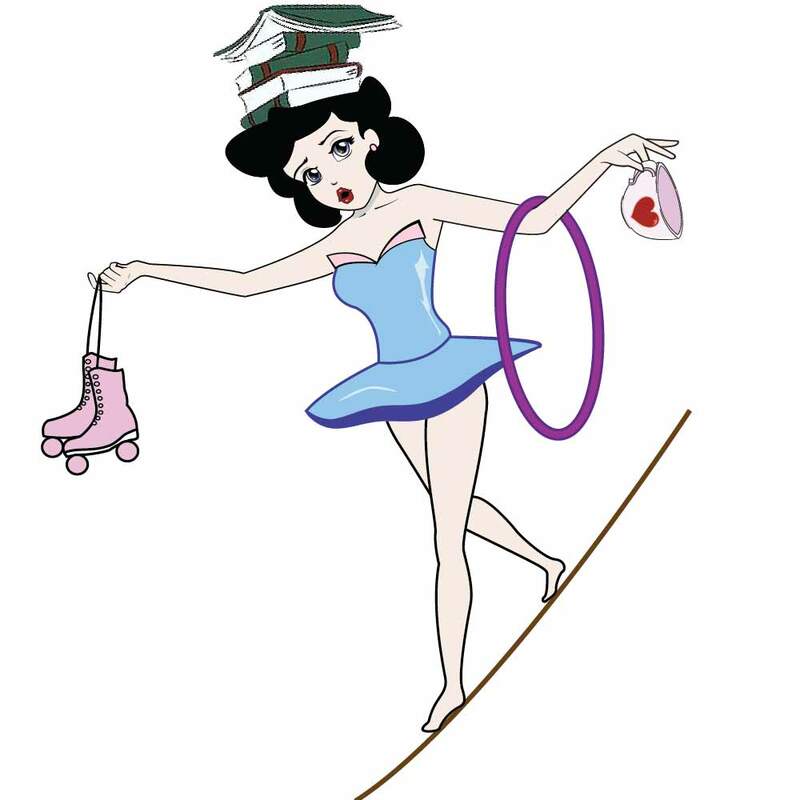 Trying to juggle all three hats – mumming, work and self-care – was a balancing act. And the main area to lose out, was self-care. My beautiful self-love practices continued, albeit in a very reduced way. As the year progressed I went through waves of tiredness, even though Zen slept well. And as we did some long full stressful days getting ourselves out of our house and onto the road, my body craved more me time. Time to reflect, nourish and ensure I was being the best for my family and my clients. Well….what better time to reflect than as you nurse your baby through the night in hospital? What did this all mean? What was this situation trying to teach me? Why did I feel so rushed all the time? Why did I feel excited by France but at the same time overwhelmed? I sat with these questions, before the answers arrived. Because I had packed 2019 full to the brim with obligations and expectations. There was no room to live. No room to enjoy my new country. No room to fully absorb the beauty and joy of hanging out with my husband and my son. No room to get my head around the new language!! I’ve always been someone to pack my life full. I love what I do so none of it feels like work, which makes it easy to add some new commitment to the pile without a second glance. Yet, even those things we love can become stressful if they don’t allow for adequate space to be fully present. To fully be in the moment. When I had my son at the end of 2017, something amazing happened. I started to see the beauty in family. Let’s just say I didn’t have the most loving upbringing, so for me, family wasn’t something I valued highly. Yet with the birth of my son, I loved mothering more than anything. I love helping people strip off their layers of mental gunk. But there is nothing like sharing magical moments with a precious little being, especially our happy, smiling munchkin! As I felt into it, my heart was calling for less. Instead my heart was calling for more rest. More embodiment of what I share with my clients. All that I teach to my clients, I practice myself. And throughout motherhood that has continued – in a somewhat condensed fashion – but the message now was: It’s time to take that practice deeper. I packed 2018 pretty full. I was learning how to be a new mum, I was running a business (with reduced hours), I was studying, and I was packing up my house and moving country. All things that excited me, but it was a lot to wrap one’s head around. While I never took it out on my son, I did take it out on my husband. I wasn’t living from a place of ease. I got through it, and I gave fully to my business and to my son. As I watched my son get better in hospital, I realised that it was time to let go of the busy. I’d always been a busy person. It was conditioned into me at a young age. And in many respects it had served me. But I realised the busy was no longer in my best interests. In 2018 I let go of my stuff (you can read about me embracing a more minimalist life here), I now realised 2019 was about letting go of the busy. Learning a new language as I settled into my new home, running a business and parenting would be plenty. I didn’t need to be touring my work everywhere in the first year! I was being driven by my old conditioning that if I wasn’t busy I’d lose momentum. If I wasn’t out there in the world, being seen, then I wasn’t successful. Maybe people would think I couldn’t handle mumming and working at the same time. Yet the truth is, I can handle it, but I don’t want to have to handle it anymore. I want to live an easeful life. A life of ease that allows me, to at the same time, thrive. You cannot thrive unless there is ease. For when we feel ease, we can be present. We are more in the flow of life. And that leads to the greatest happiness one can ever experience. So if you’re wondering why I don’t have a calendar full of festivals and workshops, it’s because I have consciously chosen for 2019 to be the year of letting go of the busy. Doing less so I can experience more. It’s easy to write out a list of resolutions to fulfil each year. And for many people this gives them the motivation they need to get things done. But sometimes we need to step back. Let go of what we ‘think’ we should be doing, and let our heart lead the way. What does your heart want for 2019? If you let go of all of the fears of not being seen, of being judged, of falling behind, of losing something, what kind of 2019 would your heart want for you? My heart yearns for family time. Time to fully embrace the beauty of living and connecting. In France kids start kindergarten at 3. And they spend 24 hours a week at kindergarten!!! I don’t want to miss these super precious years, before my little Zen heads off to kindy. I also don’t want to miss the opportunity to feel more deeply into myself and my truth, so I can continue to give Zen all that he needs, not just physically, but emotionally. It’s time for me to give myself a little more rest. A little more space to explore my teachings, my new country and my beautiful little family. To deepen my practice in self-love. So this is why I’ve decided to only accept a handful of clients for 2019, and to spend the year really embodying all the wonderful study I did in 2018. If my blogs this year don’t come out every single month, it’s because I’m following my inner calling to be more in my life. To do less so I can experience more. And ultimately, to let go of the busy. Beautiful reflections Tamra…thank you for your open-hearted sharing. I am also going for ‘life in the gracestream’ in 2019. In 2018 I returned to full-time Primary School teaching after semi-retirement for the past 4 years. This year I am house-sitting in France near Bordeaux and helping out in a chateau in the Loire Valley..so far. My dream is to ‘wander & wonder in France. I lived there for 6 years once and am excited to rediscover the place I once called home. Then as a young Mum with three small daughters, now as a happy grandmother! Thanks so much for sharing Lynne and how exciting! So happy you’re embracing life and exploring France. EnJOY!!!! Letting go of the busy is a great decision for 2019 and I can only congratulate you on that. Bon voyage and enjoy France ! Merci Marlies! I’m looking forward to taking this new approach. And No doubt it’ll result in more blogs with a French flavour!